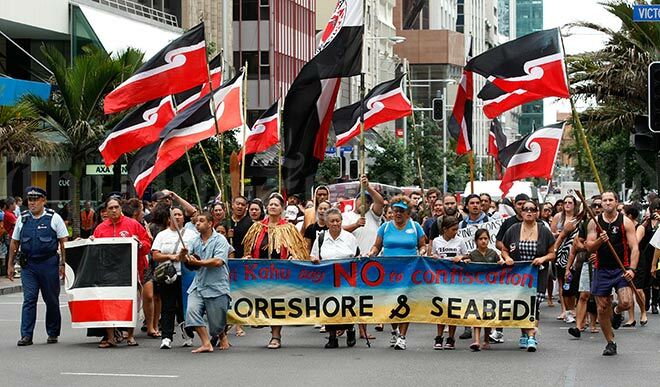 Some Māori groups opposed the Marine and Coastal Area Bill, arguing that the Treaty of Waitangi maintained Māori sovereignty over lands and fisheries and that declaring no ownership of the foreshore and seabed contravened this. MP Hone Harawira left the Māori Party to form the Mana Party over this issue. This group marched along Auckland’s Queen Street in March 2011. The bill was passed into law later that year.